Canvas @ YaleInstructor Guides ModulesHow do I Create Modules? 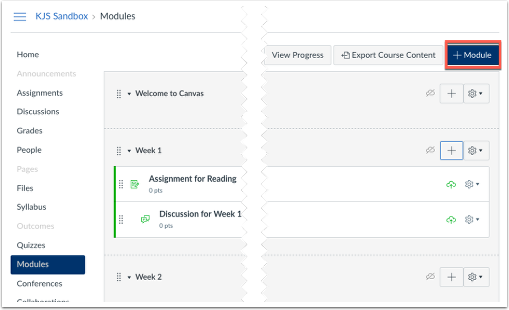 In Canvas, there are many ways to display your content to students. One method is to create modules, which allows you to create multiple pages and guide the students through the content rather than having them go to multiple areas to receive the readings, assignments, and all information for class this week. In this guide, we will show one way to deliver your content to students. Please note that this is only one way, so if you would like to schedule a consultation to discuss your specific content, please see: Schedule a Consultation. 1. 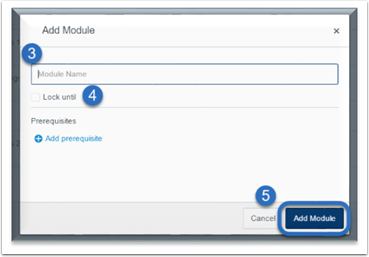 From the Course Navigation, click “Modules”. 7. Select from the drop-down menu. Options include Assignment, Quiz, File, Content Page, Discussion, External URL, External Tool. Note: You will have an opportunity to create a new item in any of the options here. 8. Once you add the item, you will see it listed under the module. 9. 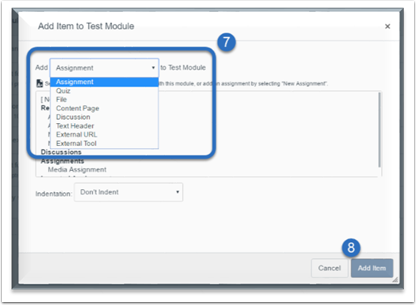 Remember to publish both the Module and the item in order for students to view.